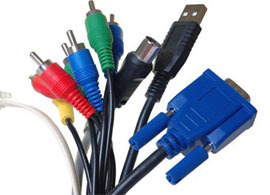 Since 1990, Cable Depot in Norcross, GA is your complete U.S. manufacturer of custom cable and standard cable assemblies, bulk cable and all voice and data interconnect products. We also deliver the very best in bulk wire, network hardware and equipment, cabling tools, test equipment and power products that will enhance and support your connectivity needs. We pride ourselves on serving you well. Cable Depot's wide variety of cable assemblies and accessories, engineering support, on-time delivery and high quality materials at competitive prices, we guarantee 100% product testing and offer a rigorous Zero-Defects Quality Assurance Program. At Cable Depot, we believe that a handshake is a bond. Since we may never shake the hands of all of our customers, we put our handshake in writing. Our handshake is the Zero-Defects Quality Assurance Program, your guarantee that every product at Cable Depot is 100% tested and 100% guaranteed under normal use. Our sales team understands the priority service you require. A sale is not complete when the money changes hands. We stand by our promise to offer ongoing service and support after the sale. We offer lifetime guarantees for molded cables and a one-year warranty on electronic devices. We want you to exercise the warranty or guarantee on any product or service and return it to us if you are not completely satisfied. Your 100% satisfaction is our primary goal. E-Mail or Call us Today with your Specific Requirements !